I loved the music from the first time I saw the movie, but it took me forever to get my hands on the soundtrack. What can I say, this is a great score by James Newton Howard, whose other works, especially The Village and Unbreakable I love to use for mood setting. 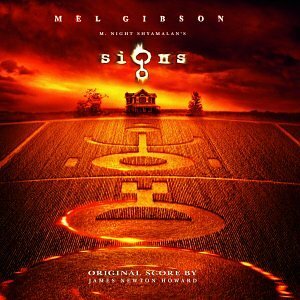 One of the central aspects of Signs is that it tends to follow a melodic theme, many of the tracks use a familiar melody that sort of becomes the signature of this film. This can be great if you are trying to link various events in a subtle way – for instance one mysterious happening can be linked to another by using tracks from this album, even different ones, because the signature is there. Its subtle and players may not recognize it at first, or if they do they may think nothing of it, but I think its one really neat way of adding more depth to your game. Anyways, great mood music for suspense, mystery, and even a little horror.